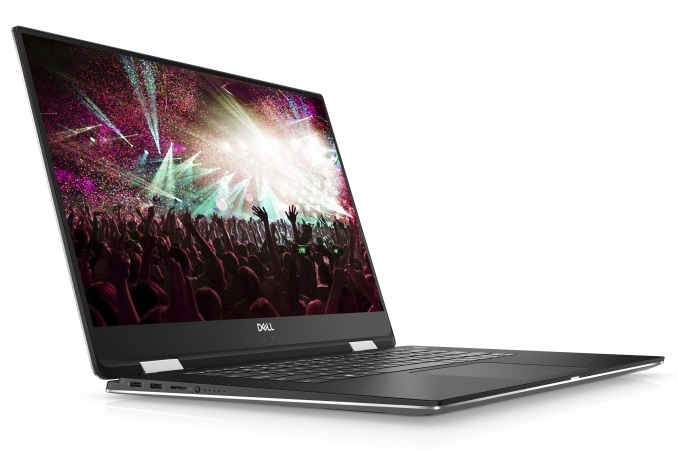 LAS VEGAS, NV — Dell’s XPS 15 2-in-1 model 9575 will use the 8th Generation Intel Core processor along with Radeon RX Vega M graphics using the Kaby Lake- G series CPUs. This combination of Intel processing power and AMD Vega mobile graphics should yield improved performance over previous solutions and allow for parts to shrink as more are combined on the SoC. With this, Dell is calling the XPS 15 the most powerful 15-inch 2-in-1 as well as the smallest and thinnest 15.6-inch 2-in-1 due to its InfinityEdge display allowing for extremely small bezels and an overall thickness measuring in at 16mm. The new XPS 15 2-in-1 will use one of two available processors in the i5-8305G (quad-core boosts to 3.8 GHz) or the upgraded i7-8705G (quad-core w/HT boosting 4.1 GHz). Each processor has an AMD Radeon RX Vega M GL graphics chip on it with 4GB of HBM2 RAM. Clock speeds of the GPU were not mentioned. Memory options range from 8-16GB of dual-channel DDR4 running at 2400 MHz. 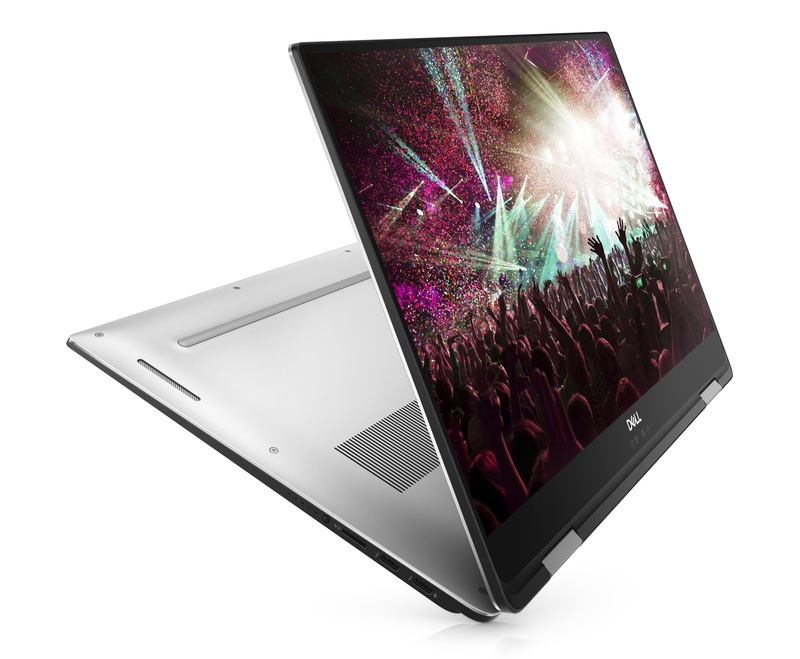 The updated XPS has two-panel options as well - either a 15.6-inch Ultrasharp 4K UHD InfinityEdge touch display or an FHD (1920x1080) InfinityEdge touch display with both able to reproduce 100% sRGB. Internal storage options will range from 128GB SATA SSD, to 256GB-1TB PCIe based SSDs. External ports include two Thunderbolt 3 ports and two USB-C 3.1. Additionally, it integrates a microSD card reader, headset jack, and a noble lock slot. Battery life was also improved and is said to be around 15 hours. Last, the wireless capabilities are handled by the Killer 1435 802.11ac (2T2R) + Bluetooth 4.1 along with an Intel 8265 device, also 2T2R, with vPro. New to the XPS 15 2-in-1 is a maglev keyboard which uses magnets instead of mechanical or membrane-based keyboards. While a specific mechanical key wasn’t listed for an analog to compare to, they did mention it does give tactile feedback. It will be interesting to review and test out the maglev keys. 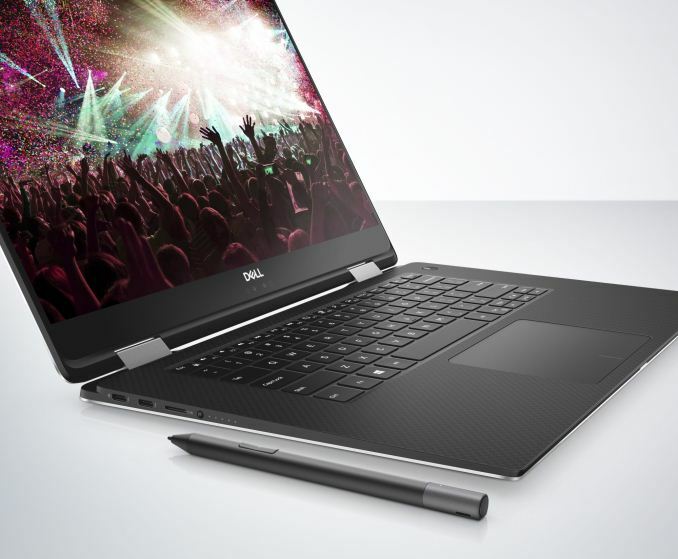 The new XPS 15 2-in-1 will be available in the Spring of 2018 with pricing start at $1299.99. Other I/O Microphone, stereo speakers, audio jack, trackpad, card reader, etc. This is not the same as the normal XPS 15 2in1 - it is lower performance in both CPU and GPU. @KateH , not for this laptop. The i7-8705g uses the weaker of the two AMD GPUs. The Vega GL not the GH. So 2.6TFlops instead of 3.7TFlops of the GH and ~4TFlops of the 1060. So a bit faster than a nVidia 1050. I personally think it would be best to wait for 2nd generation of this technology - I believe that most of credit can be attributive to Intel's "Embedded Multi-Die Interconnect Bridge (EMIB)" but keep in mind these comparison are only being compared to NVidia's low end graphics card.